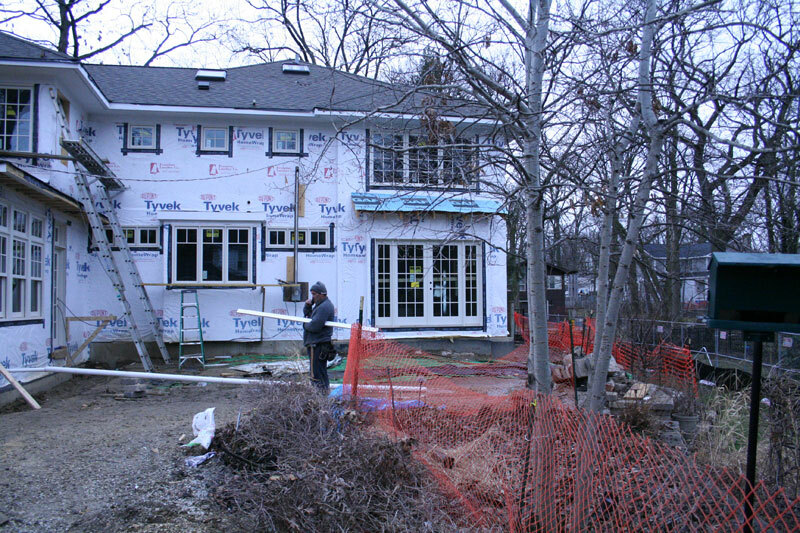 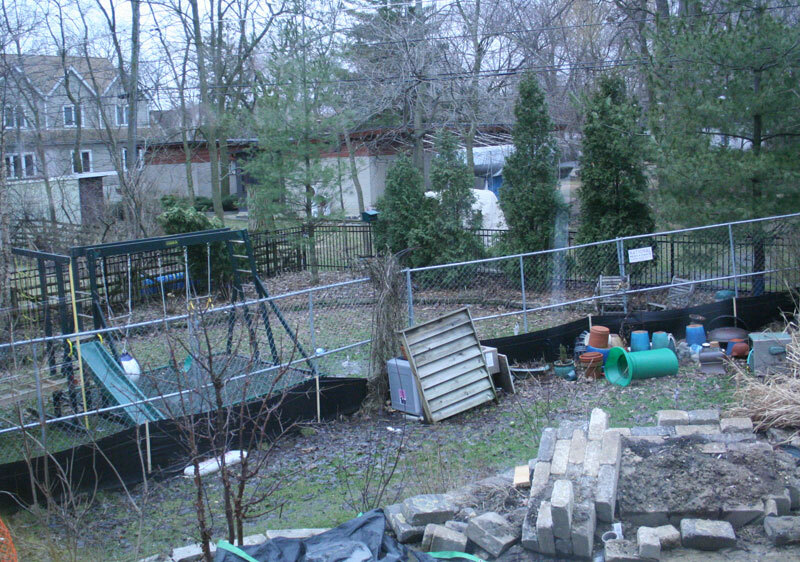 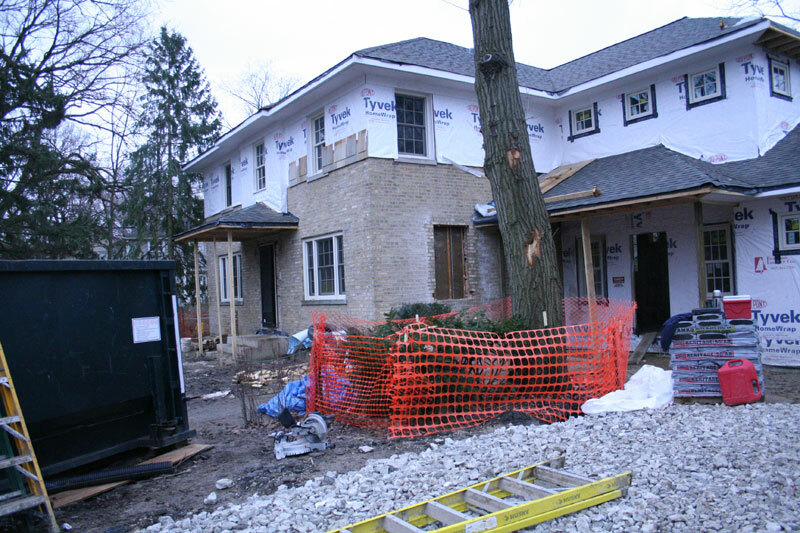 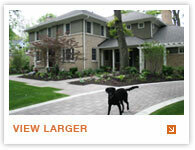 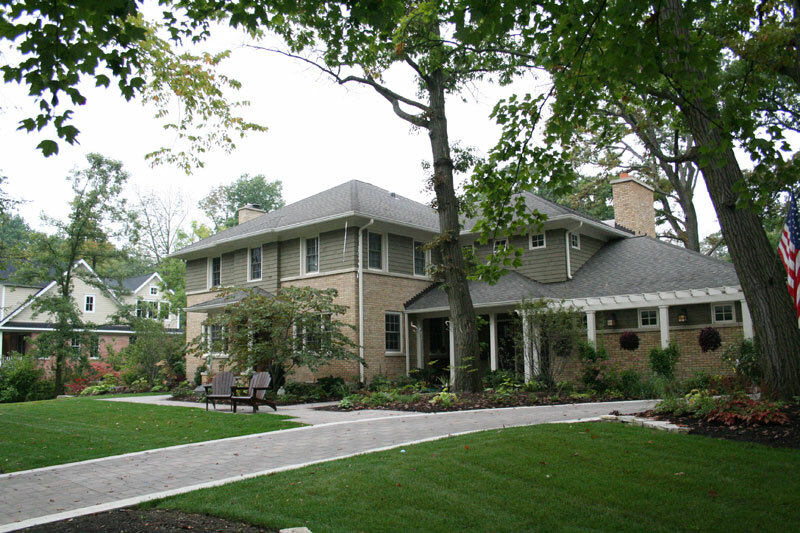 This beautiful, double-lot site located in near north suburban Chicago has undergone a dramatic transformation. 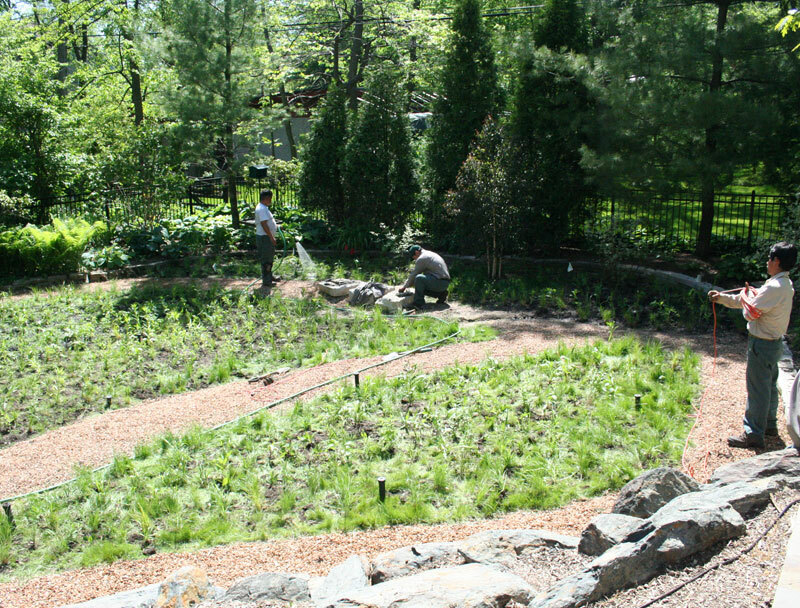 Still in progress, the newly designed landscape includes many ecological smart elements – permeable pavers, rain gardens and native plantings. 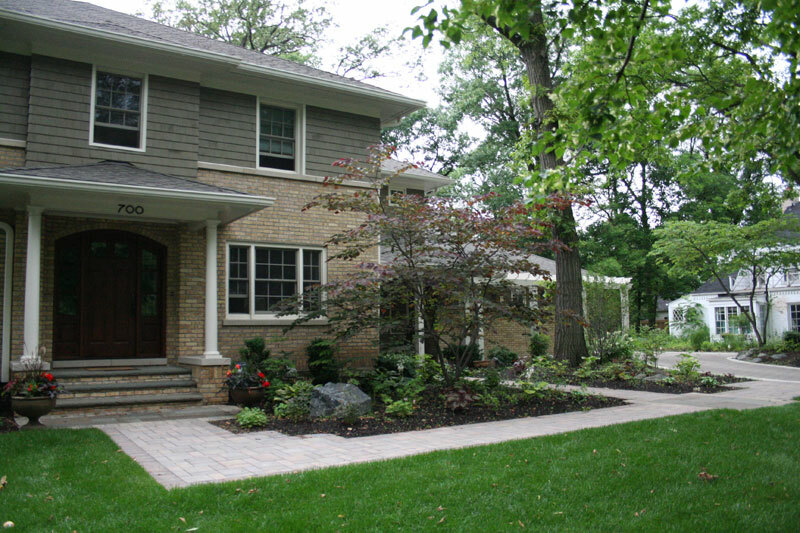 The front yard design includes a walkway that echoes the style of the renovated home and directs the family to the mud-room entrance and guests to the front door. 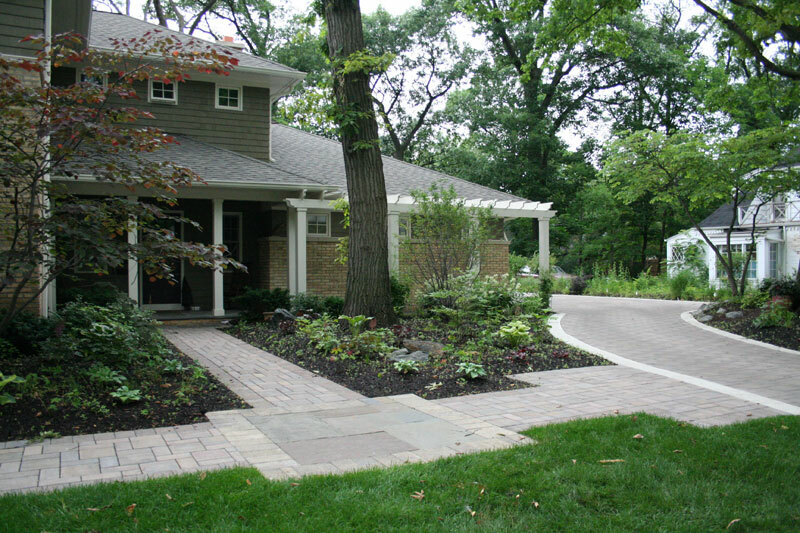 A permeable driveway minimizes run-off into storm sewers by allowing rain to percolate down into the water table below. 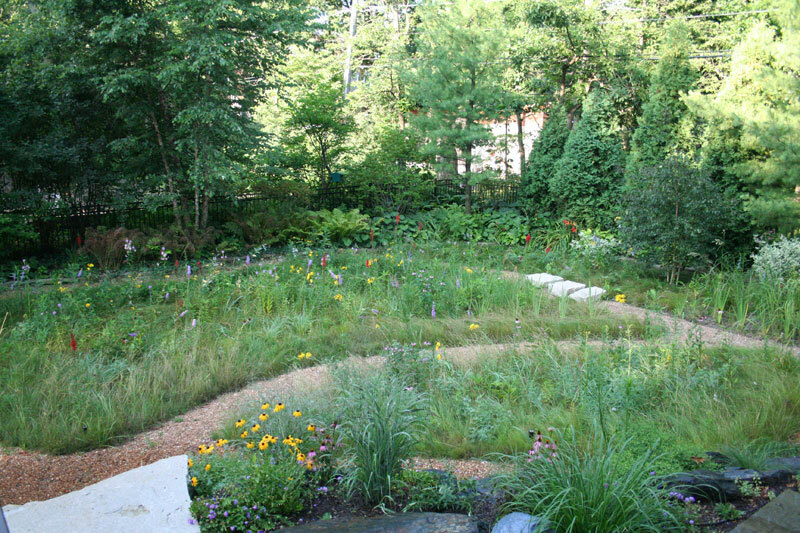 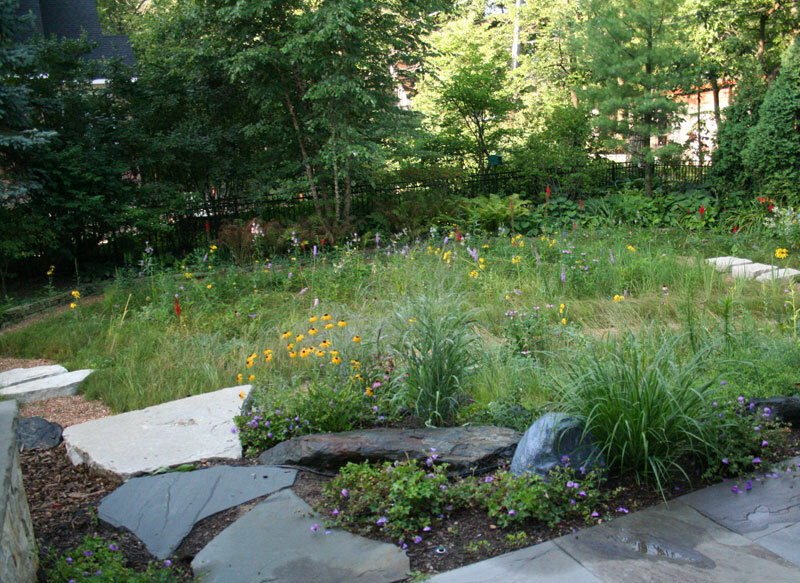 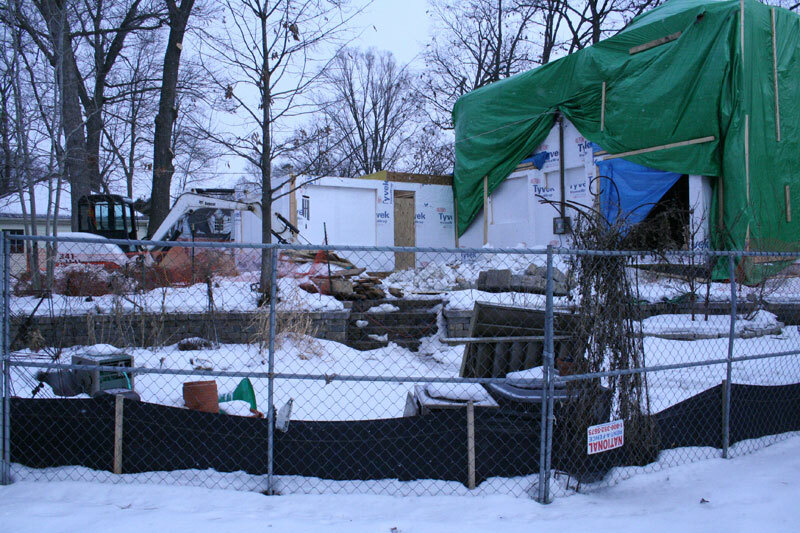 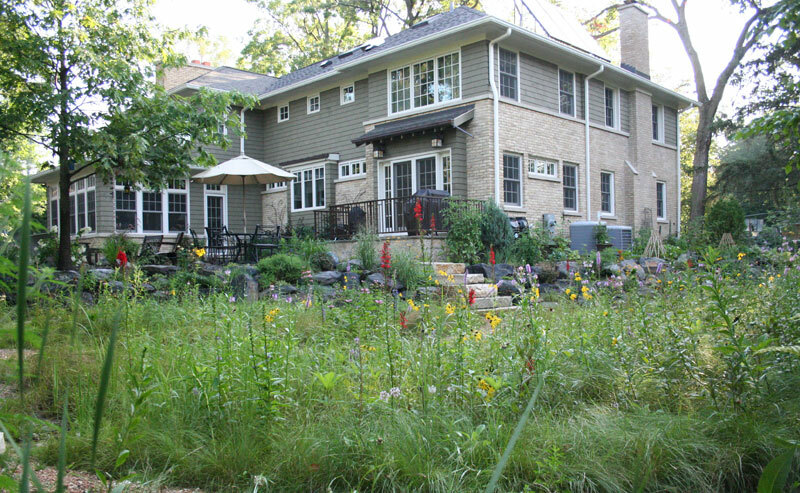 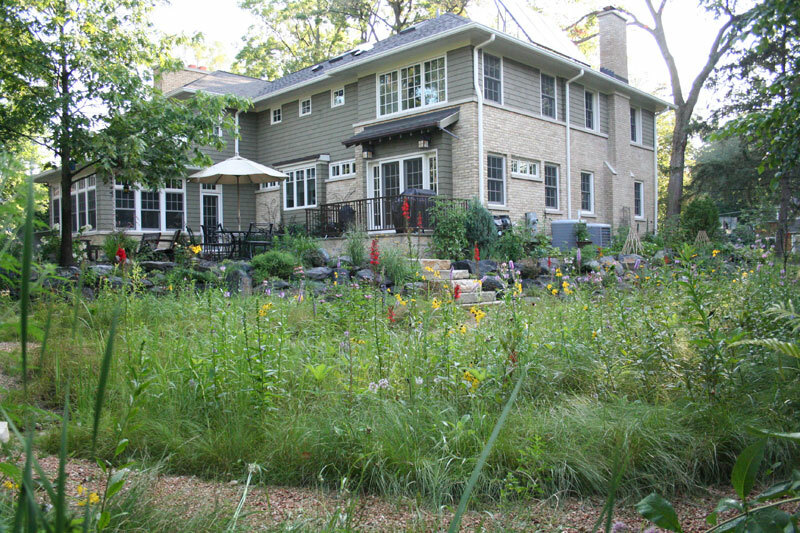 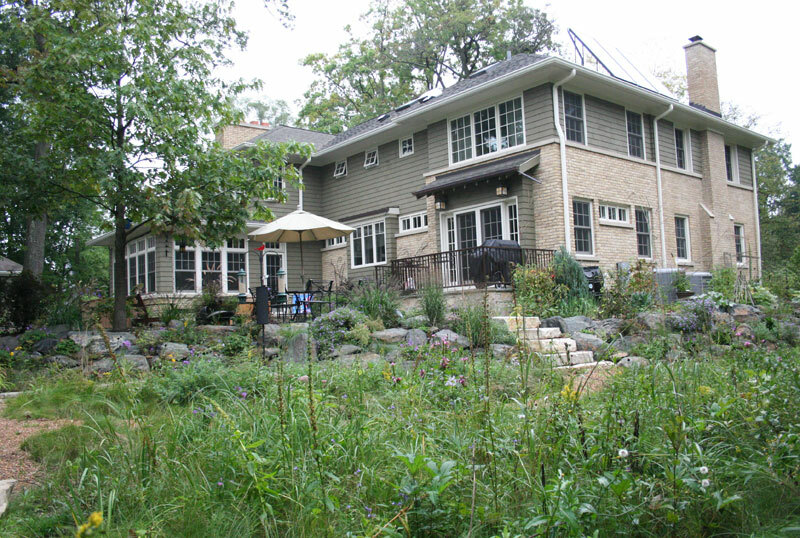 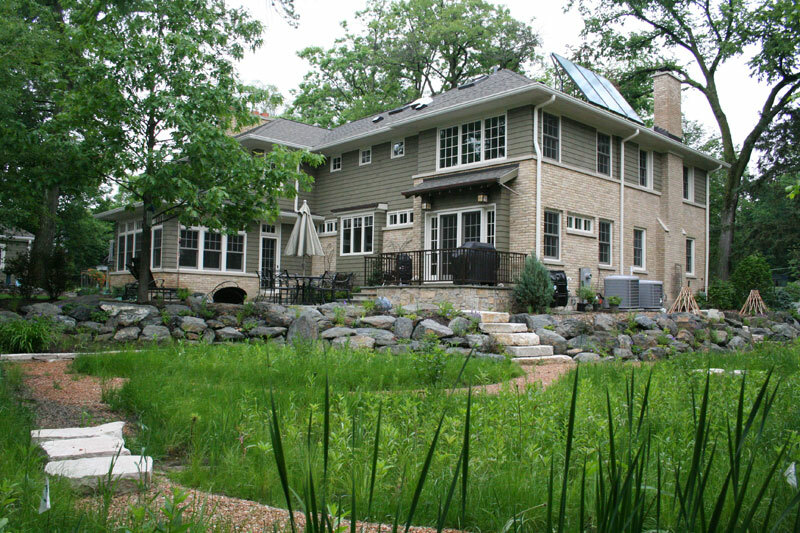 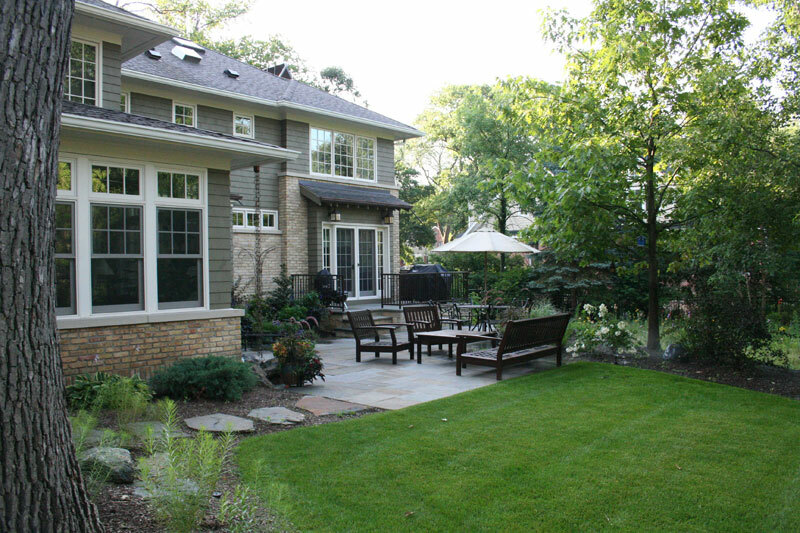 In the backyard, a significant grade change was re-designed giving the clients and their children access to a natural wetland area below the large entertaining space off the back of their home. 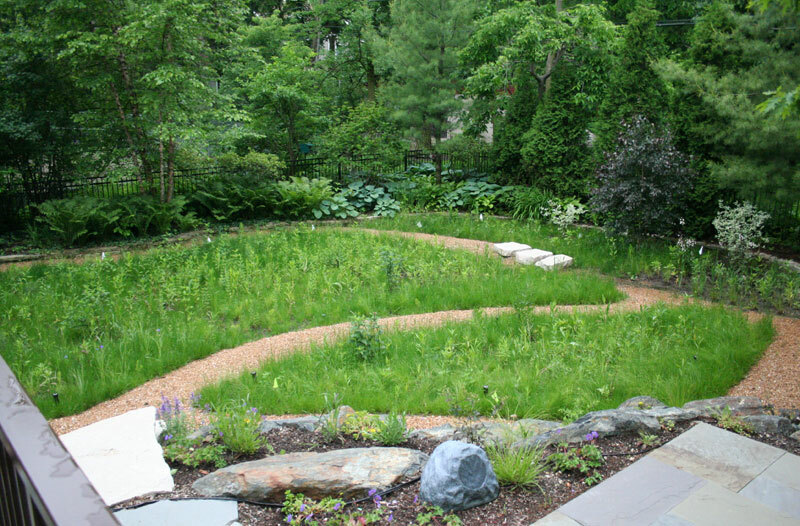 This year, the natural garden was planted and together with our clients who enjoy gardening, MODE has installed the balance of the plant design. 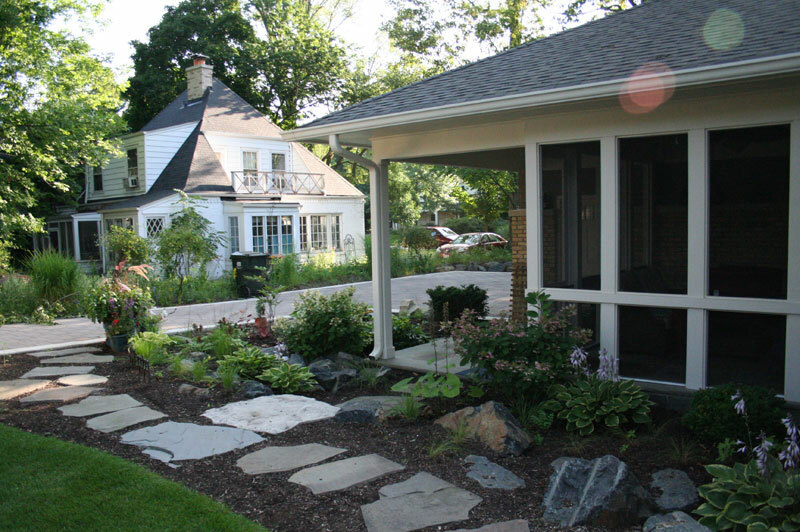 "Ellen listened and interpreted our ideas into a beautiful and functional space. 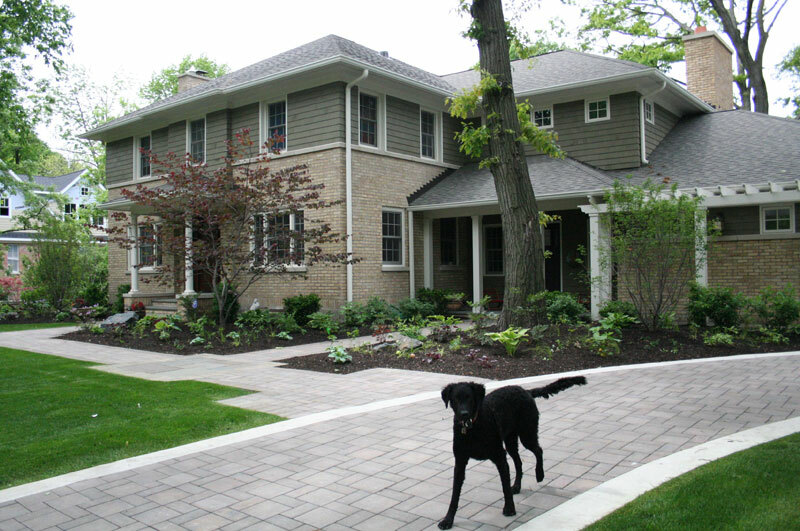 Like an artist, she understood that design is an interactive and ongoing process. 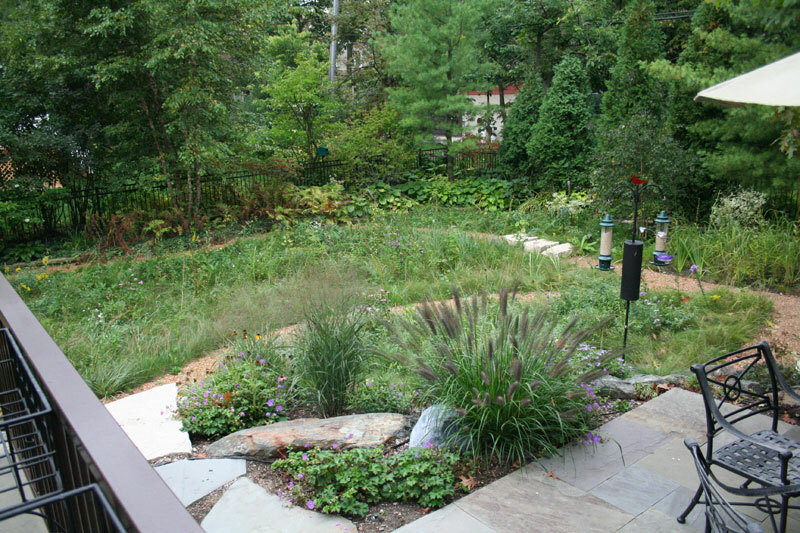 As clients, we were treated as partners in the process rather than a 'job'."